CATHERINE L DRENNAN is a professor of chemistry and biology at the Massachusetts Institute of Technology, and a professor and investigator with the Howard Hughes Medical Institute. 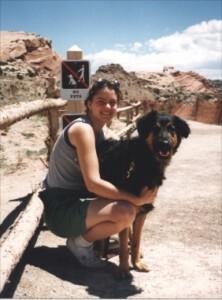 She grew up in the NY/NJ area with her father (a medical doctor), her mother (an anthropologist), and her dog (a beagle). Cathy received an AB in chemistry from Vassar College, working in the laboratory of Professor Miriam Rossi, and a PhD in biological chemistry from the University of Michigan, working in the laboratory of the late Professor Martha L Ludwig. She was also a postdoctoral fellow with Professor Douglas C Rees at the California Institute of Technology. In 1999, she joined the faculty at the Massachusetts Institute of Technology, where she has risen through the ranks to full Professor. Dedicated to both research and teaching, Cathy’s educational initiatives include creating free resources for educators that help students recognize the underlying chemical principles in biology and medicine, and that train graduate student teaching assistants and mentors to be effective teacher–scholars. Once a high school science and drama teacher, she currently teaches freshman chemistry (5.111) and Biophysical Techniques (7.71). Cathy’s primary research interest is the use of X–ray crystallography to study the structure and mechanism of metalloproteins. Her awards include: Howard Hughes Medical Institute Investigator (2008); Howard Hughes Medical Institute Professor (2006); Everett Moore Baker Memorial Award for Excellence in Undergraduate Teaching (2005); Harold E. Edgerton Faculty Achievement Award (2004); Dean’s Educational and Student Advising Award (2004); Alfred P Sloan Fellow (2003–2005); ASBMB–Schering–Plough Research Institute Scientific Achievement Award (2003); Presidential Early Career Award for Scientists and Engineers (PECASE) (2002); Searle Scholar (2001–2004); Cecil and Ida Green Career Development Chair (2000–2003); and Surdna Foundation Research Award (2000–2001).